After our recent vacation with daily wine, bread and sweets, it’s time to cut out treat foods. So there’s minimal sugar, alcohol, fried foods and simple carbohydrates in our diet right now (Luckily, this eating plan is only for a few weeks). Because I still like a bit something sweet after lunch, I like eating a piece or two of Trader Joe’s Chili Spiced Mango. It’s chewy, tasty and spicy (but not hot), and its sweetness makes my meal feel complete. Even though it does have a bit of added sugar, this mango also has vitamins, micronutrients and fiber, so I feel like its benefits outweigh its detriments. 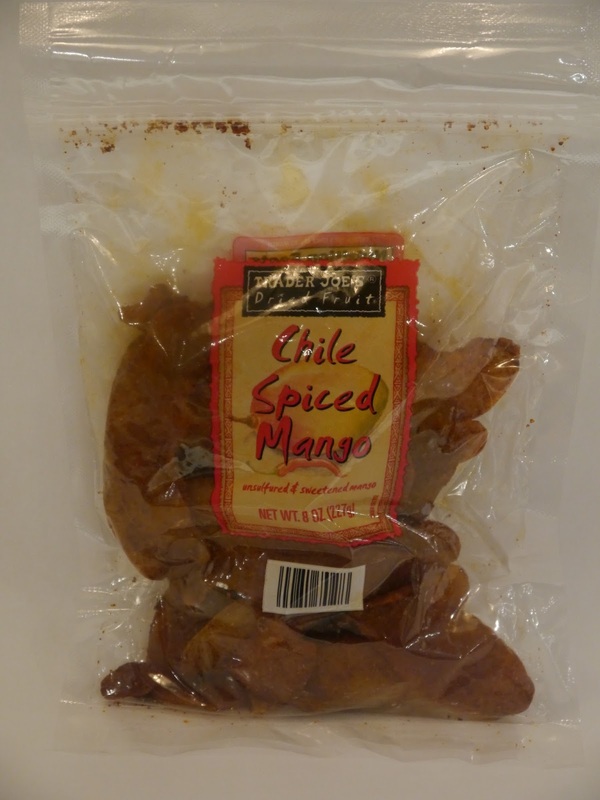 It you like a bit of spice in your life, Trader Joe’s Chile Spiced Mango is the treat for you!